Any Cardcaptor Sakura fan would appreciate the friendship and support Kero-chan and Suppi provide. However, odds are you don’t need the use of their high-level magic in your daily life. If, though, you need to keep your hands safe from the scorching heat of pans and pots while cooking, the anime pair are here to help. 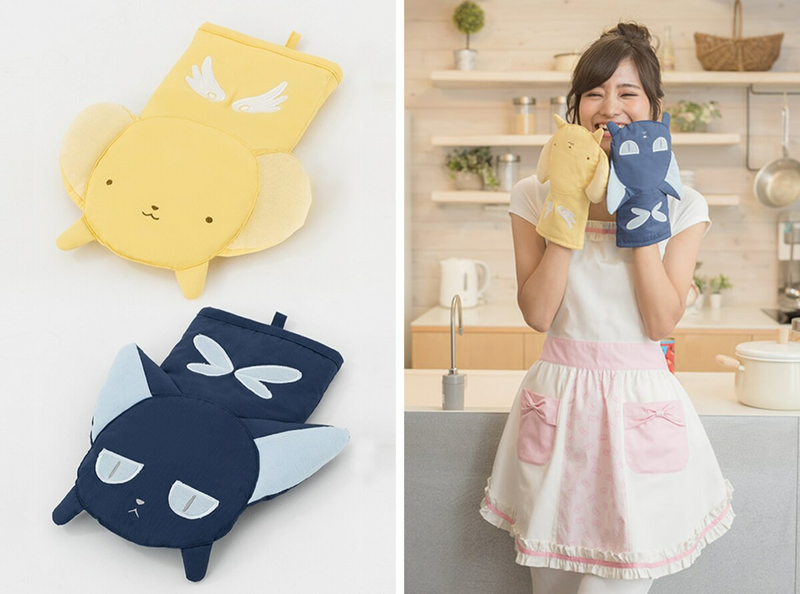 Offered by anime fashion brand Super Groupies, the Kero-chan and Suppi mitt can be worn on either hand, letting you designate whichever character you want as your literal right-hand helper in the kitchen. And while the Kero-chan and Suppi oven mitts are protecting your hands, you can guard against spills and splashes staining your everyday clothes (or Cardcaptor Sakura kimono) by slipping on one of Super Groupies’ Cardcaptor Sakura aprons. Drawing their inspiration from protagonist Sakura’s girlish costumes, the cotton aprons are available in three color patterns. While the designs might look identical at first glance, there are subtle differences that make each unique. Compared to the red-trim version, for example, the all-pink apron has additional frills at the collar, plus an extra ribbon of color near the hem. The yellow apron, meanwhile, foregoes frills at the bottom altogether. 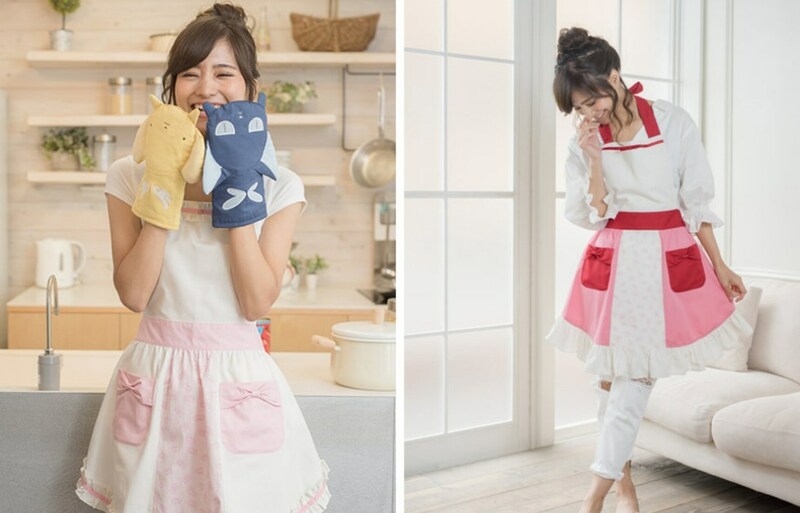 Super Groupies is taking orders through its website here for the oven mitts (priced at ¥5,800 [US$52] for the pair) and aprons (¥6,800 each) between June 2 and June 18, 2017. Delivery is scheduled for late September.